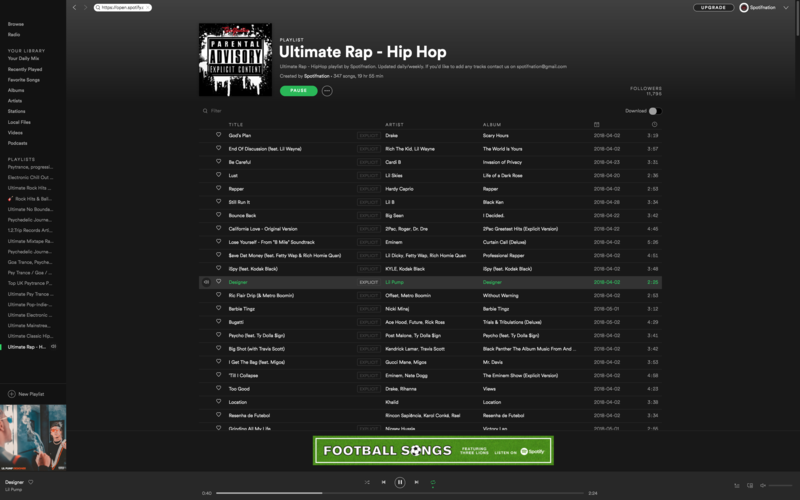 I will place your HipHop, Rap track on Ultimate Rap-HipHop ,popular and public playlist for 1 month.There are over 11K active listeners at the moment and still growing. Plays, monthly listeners and possible saves are guaranteed (can't guarantee any specific numbers, that all depends on how popular and engaging your track is). There's also possibility that your track will gain 'similar artists' to those Artists that are currently on playlist. This playlist is strictly genre specific and we will only accept tracks that fit Hip-Hop, Rap or R&B style.All other orders will not be processed. Please note! There's only one order per 1 Artist per month allowed.Multiple orders will be canceled.We want to give everyone a chance and don't want that playlist to get too big.We need to balance New upcoming Artists to Top and established ones.We don't want to start loosing listeners.Hope you guys understand! Sptify massive hip hop playlist placement over 11k active followers is ranked 5 out of 5. Based on 137 user reviews.